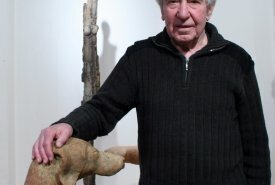 The sculptor Lubomír Šilar was born on June 12, 1932 in the village of Horní Čermná near Lanškroun and died on September 27, 2016. In 1948 he started his studies at the State School of Ceramics in Prague (now the Art School of Václav Hollar). Subsequently, he continued at the Academy of Arts, Architecture and Design (AAAD) in Prague, where in the years 1951 to 1956 he was enrolled in the Ceramics and Porcelain Studio of Professor Otto Eckert, during which time he also completed his “honorary year”. At the Prague International Ceramics Exhibition organized by AIC (l'Académie Internacional de la Céramique) in 1962 he was awarded the silver medal. 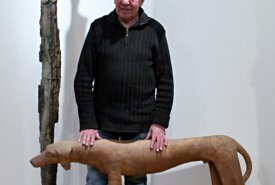 In 1965, 1974 and 1975 he repeated his success and won gold medals at the International Competition of Contemporary Ceramic Art in Faenza in Italy, also receiving a number of honourable mentions, e.g. at the Quadrienalle of Applied Arts in Erfurt in 1977, International Ceramics Exhibition in Polish Sopoty in 1979, and being awarded a special prize from Vallauris, France. 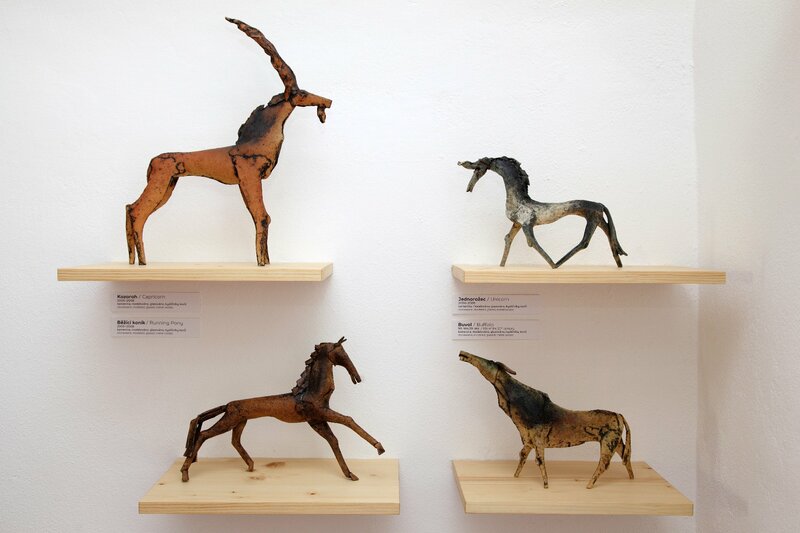 Other important accolades include a gold medal and the Bavarian State Award, which he received at the International Craft Fair in Munich. In 1968 Šilar took part in the 3rd International Ceramics Symposium in Bechyně (Intersymposium). In 1991 he taught as a visiting senior lecturer in Koblenz, Germany, at the Höhr Grenzhausen Ceramics Center of the Institute of Ceramic and Glass Arts (Institut für Künstlerische Keramik und Glas). 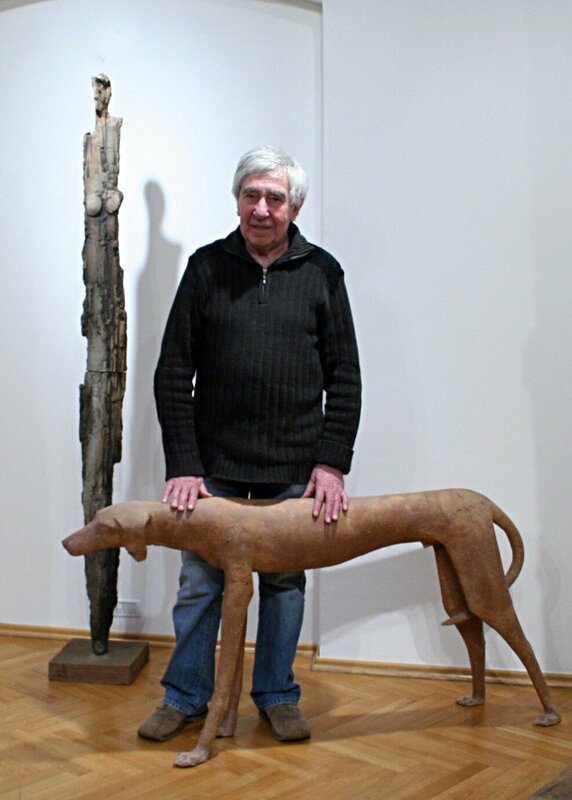 He was an honorary member of the Czech Ceramic Arts Association. 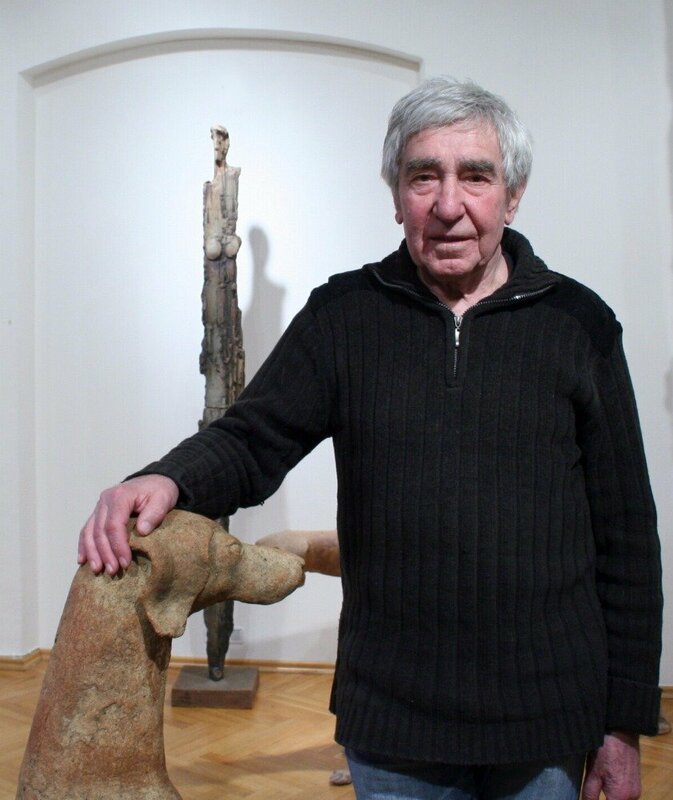 Lubomír Šilar long worked as an artist in DUV KERAMO Prague; here, his love for working with clay grew ever deeper, gradually moving from wheel-thrown forms into a slab building technique. For many decades a stylized female figure became central to his personal creative endeavour, as did a variety of animals, which he often would assemble into larger compositions. 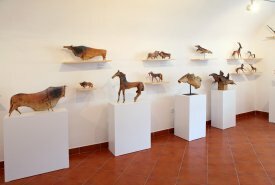 His art is characterized by sensitive, dynamic modelling of movement, with perfectly resonating natural tones - reminiscent of the Altamira cave paintings converted into sculptural forms. 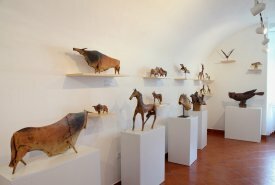 Šilar’s veracious stylized representation of animals and humans does not have many disciples in the Czech Republic who could even remotely achieve the sculptural qualities of his works. His work is wide-ranging, from individual pieces and architectural works, to applied ceramic designs for workshop production. 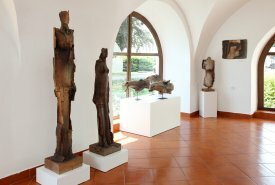 The Municipal Museum in Lanškroun presents selected pieces from an important stage of his sculptural work. These are glazed stoneware pieces with his typical motifs of female figures and animals - horses, bulls and other hoofed animals. This permanent exhibition, devoted to a prominent artist working in Czech figurative sculpture and ceramic design, was realized in cooperation with the Museum of Decorative Arts in Prague. In essence, two themes typify the work of Lubomír Šilar. 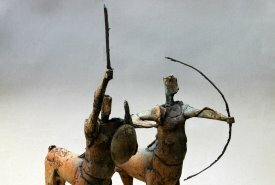 On the one hand, we have woman as a symbol of life, representing a kind of parallel to the primary symbols of humankind from the prehistoric portrayals of women till today; on the other hand there are his animals - horses, bulls, dogs and others - embodying and revealing their characteristic features. 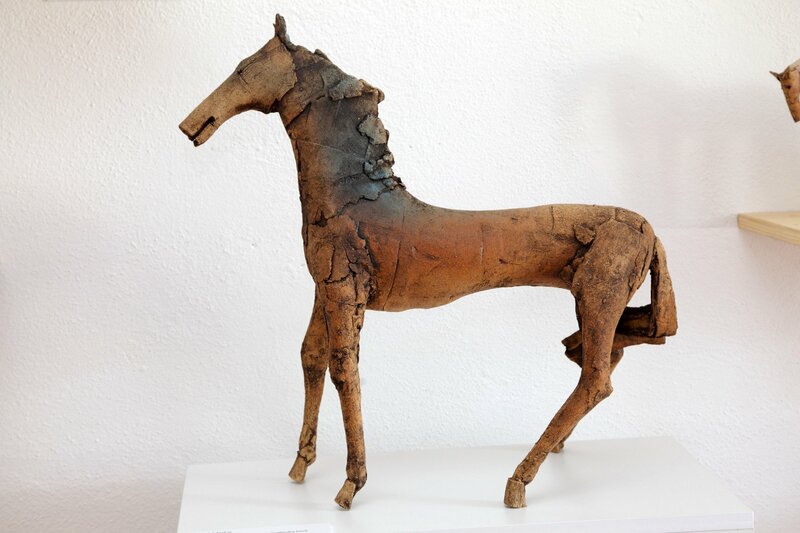 His works show us animals whose symbolism can also project into the lives of humans, therefore making it possible to work with their forms to some extent on a philosophical level. 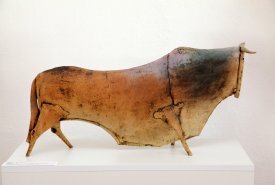 It is also important to quickly mention the artist's interest in prehistoric art, which penetrates several aspects of his work. We experience it in his simplicity of form, which offers a convincing expression of realism as well as a stylistic shorthand. We are likewise conscious of the motion to capture a point of time, which epitomizes not only the object itself but also the entire dramatic atmosphere of the narrative context. 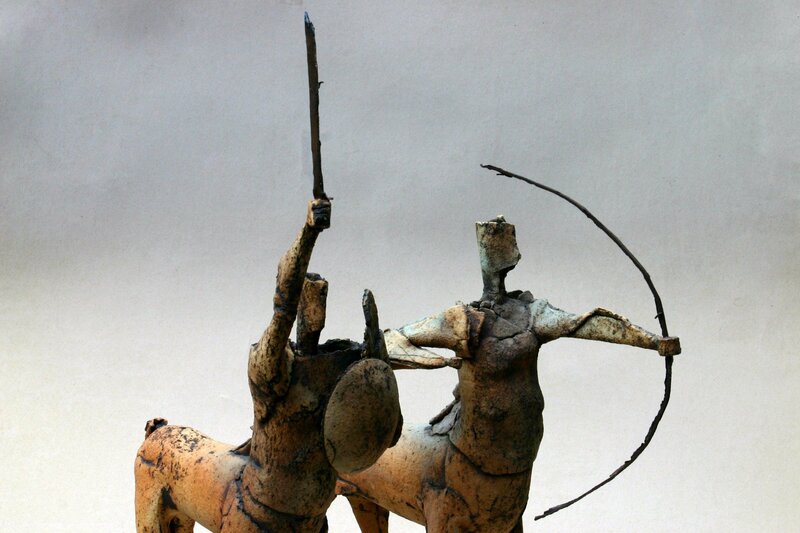 Other typical features of his objects include movement, which is present in different forms in most of his works. Motion and tension here become the epitome of a living pulse - whether in human or animal form. The selection and shape of material are similarly essential for the final appearance of Šilar’s objects. He allows them to retain their natural properties. 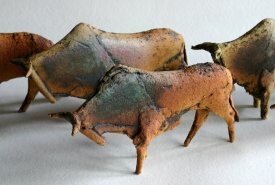 Stoneware, in which often he works, keeps its essential look both in terms of colour and materiality, which the artists complements in a purely natural style and patinates with great subtlety. The works as such are based on simply modelled shapes. Surfaces are often composed as if from individual parts and they give the work a lively expressiveness that is characteristic of the author's style. It is remarkable how the author moves only within a particular thematic area, and yet through his abilities and vision the theme can be worked into something new and current. At the same time, his themes are linked by an original poetics, blended with a rustic grounding. 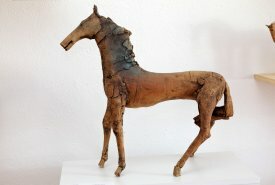 In his works we feel the presence of the depths of time each of us carries within - the origins of humankind associated with discovering our relationship to our surroundings and to ourselves; the first contact with clay, the first touch, the first caress, amazement over the dynamics of strength and speed of an animal, over the beauty of a woman. Other motifs, in addition to those already mentioned, such as the unicorn, centaur, owl or wild boar also contain entry points across whose thresholds we experience the works’ more profound implications.